Life as a mother with a disabling, chronic illness is incredibly challenging. My body grows weak and tired quickly. I need help every day doing household tasks and caring for my children. This is especially true in the summer months when my children are home all day long. I was grateful for dear friends and family who stepped up to help me in big ways this past summer. I was especially touched by an offer of help from Justyne, a sweet eleven-year-old girl. Justyne goes to our church, and she has a special love for my six-year-old daughter, Adelaide. She volunteered to take Adelaide to the pool once a week this summer. What a blessing she was both to Adelaide and to me! Justyne was helpful to me because she gave me some much needed rest in a quiet house. But she was also a big help to Adelaide. She gave Adelaide a chance to play at the pool, which she otherwise would not have had. 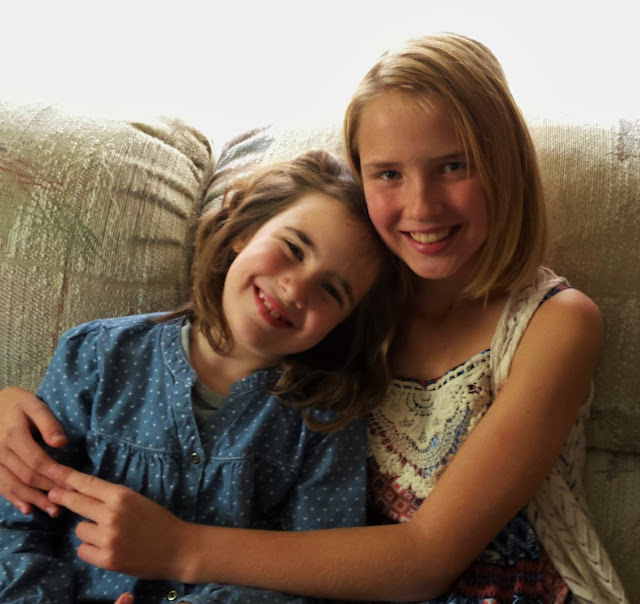 Justyne gave her the gift of friendship with an older girl. She also provided Adelaide with exercise on a day when she otherwise might have had to stay indoors all afternoon. Children of disabled parents need some extra love and practical help. They miss out on special events and activities because a disabled parent is unable to take them. They miss out on common summer activities like going to the park or going to the pool. Sometimes they may even miss out on simple board games at home because a chronically ill parent is not well enough to sit up and play. Justyne gives us a great example of one way to help the healthy child of a disabled parent. She is also an inspiring example of a kid stepping into disability ministry at a young age. Disability ministry isn’t just something for adults to do; kids can serve families affected by disability too! When someone like Justyne steps in and helps, it provides much needed playtime. It gives a kid a chance to be a kid. It provides a break from the difficulties of life affected by a disability. Thank you, Justyne, for your example to all of us. And thank you for loving my daughter so well. You have blessed my whole family! How can we reach out to the healthy children in families affected by disability? What ideas do you have of ways that children can be involved in disability ministry?